29-year old Manuel Perez-Vasques was deported 6 times. An illegal immigrant who was previously deported six times was charged for a hit and run that left two young children severely injured. Manuel Perez-Vasques was arrested for driving while impaired by drugs. An undocumented immigrant was arrested for felony hit and run in an accident that injured two children. 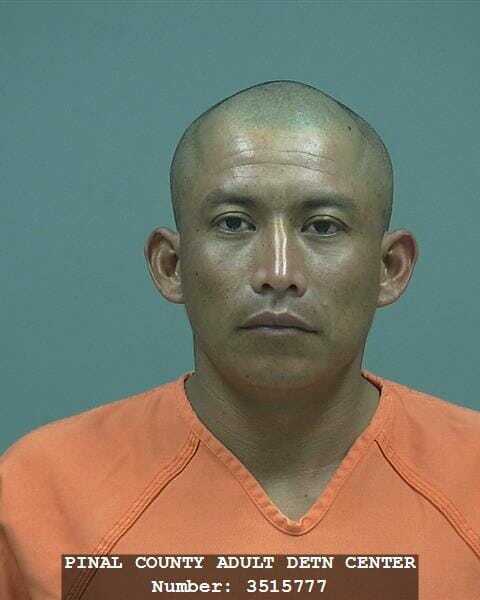 Pinal County Sheriff’s Department officials said 29-year old Manuel Perez-Vasques was driving an SUV near Maricopa on July 4 when he allegedly swerved onto the other side of the road and crashed into a car driven by a mother with her two children in the car, according to a news release. A 5-year-old boy and a 2-year old were both taken to the hospital. The 5-year-old was bleeding from a significant cut to his head. Initial reports said at least two people had fled from the vehicle that instigated the crash, but Perez-Vasques later returned. Perez-Vasques told deputies he had smoked marijuana before the crash, but would not tell them what his name was or who he had been with in the car.